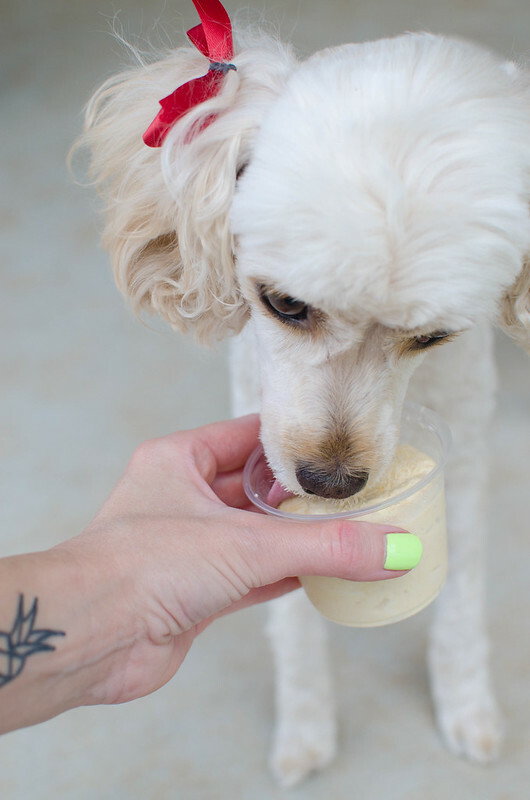 Keep your pup cool all summer long with Pumpkin Peanut Butter Dog Ice Cream! Such an easy recipe and only 4 ingredients! Since I’ve been kid free, I’ve been hanging out a lot more with adults and people I don’t really know and I’ve had to explain my blog a lot. Remember that first date I went on where I gave the poor guy a full pitch of my future cookbook titled Booze and B*tch Biscuits? Don’t take me out in public. I don’t know how to act. And now I will follow my previous paleo sweet potato noodle bowl recipe with a dog treat because that’s just who I am, I guess…? Okay, so Texas is extra hot this year. Last summer, we spent entire days at the lake. This year? Two hours and we’re done. Obviously the dogs are hot, too. Especially the husky. She loves to be outside but she’s just miserable. Even when we wait until after sundown to take her for walks, she still pants for hours afterwards. 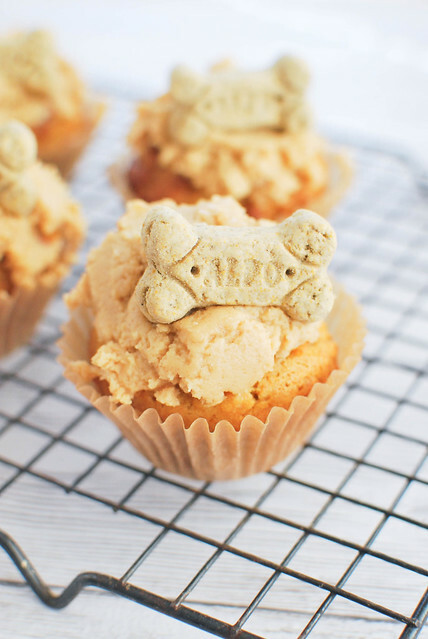 Pumpkin Peanut Butter Dog Ice Cream! Obviously ice cream is the answer for everything. I love buying the dog ice cream at the grocery store but the’re, like, 6 bucks a box and they only come with 4 cups and when you have 3 dogs, that doesn’t work. 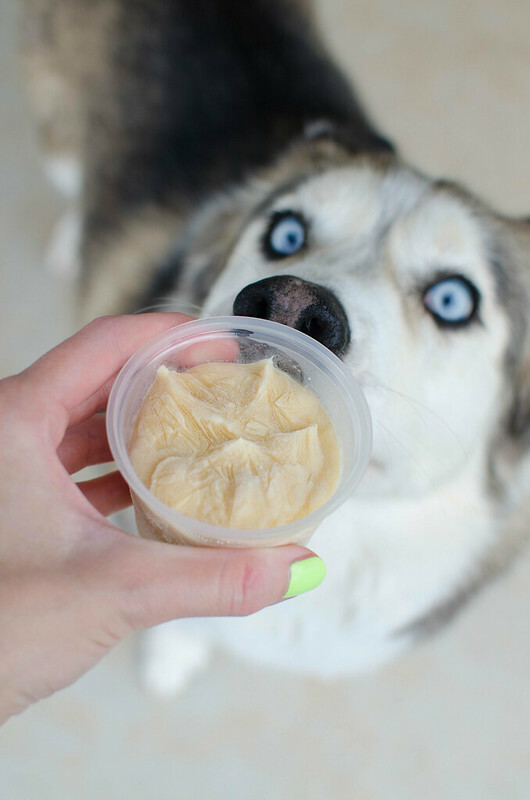 So I started making my own homemade dog ice cream years ago and it’s stupid cheap to make. Start with a base of good quality whole milk yogurt and for this one, I mixed in pumpkin (make sure pumpkin is the only ingredient! ), peanut butter, and a little honey. 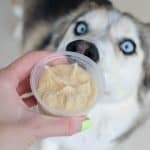 Pumpkin is so good for dogs digestion and then all dogs love peanut butter. And the honey is just for taste. So you just mix all that together and divide it into freezer-safe cups. I found these plastic ones in the plastic bag section of my grocery store. They have tops and everything so they’re perfect for this. They aren’t airtight though so it’s not going to last forever in the freezer. The ice cream is also human-friendly so if you want to toss your kid outside with a cup, totally fine. In a large mixing bowl, whisk together pumpkin, peanut butter, and honey until smooth. (You may need to warm the peanut butter and honey to make it easier to stir.) Fold in yogurt until combined. Divide into freezer-safe containers and freeze for at least 2 hours. 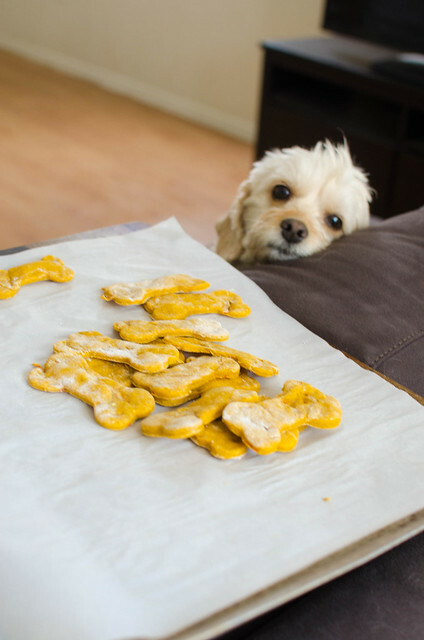 Let your pup enjoy them all summer long! 2 Responses to "Pumpkin Peanut Butter Dog Ice Cream"
Oh my gosh! I saw this on Instagram and had to come check it out! 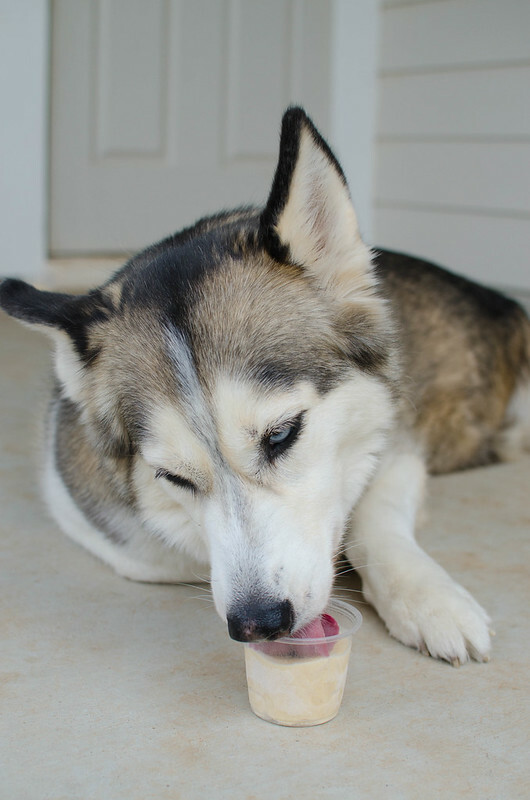 What a great summer treat for our furry friends! This is a cute idea. 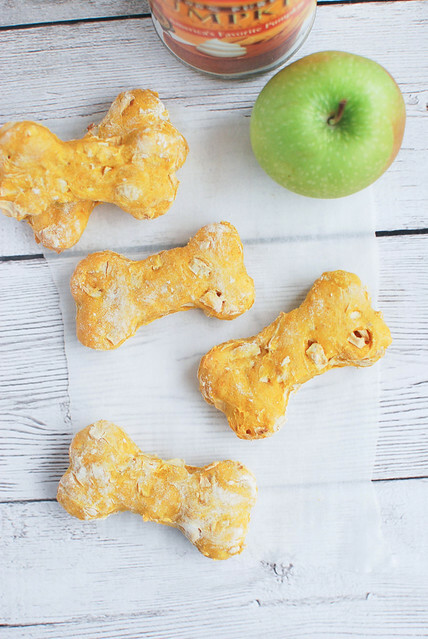 I know a few furry friends who would love this recipe!